Building the Future is a project by TUM Asia in support of The Straits Times School Pocket Money Fund (STSPMF). 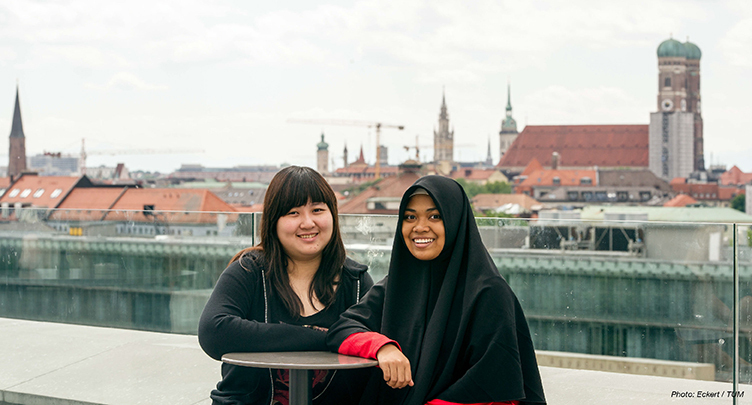 It aims to inspire youths from disadvantaged families by showing them that the future is in their hands – their own future, as well as the world’s future.In 2013, two post-secondary students, under the STSPMF scheme, were given the opportunity of a lifetime – a visit to the Technische Universität München (TUM) campus in Germany, and to meet Nobel Laureates in person. We hope to have inspired these students by exposing them to the possibilities of being in the field of engineering, science and/or technology through interaction with those making a significant difference to how people in the world live. By immersing them in the environment of the top engineering university in Germany, including sitting in on lectures, and visiting our laboratories, we hope to give them the experience of being at the top of their field. 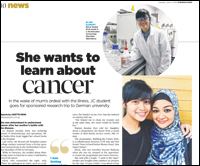 In June 2015, TUM Asia sponsored another 2 post-secondary students to make this trip to Germany. To further inspire the 2 youths, they were given an unique opportunity to participate in a “project of their choice” in the laboratories at TUM. They were supervised by TUM professors during their projects, as they get a glimpse into the heart of innovation represented at the TUM. The third and final round of the project has been concluded. Find out more about the beneficiaries and their thoughts below. As part of TUM Asia’s 10th Anniversary celebrations, TUM Asia partnered The Straits Times’ School Pocket Money Fund to launch the “BUILDING THE FUTURE” project in December 2012. The Technische Universität München (TUM) is one of Germany’s leading universities, renowned for its contributions to the advancement of science & technology through research and innovation. 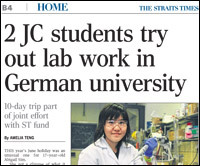 As a premier institution who adheres strongly to the vision of our parent university in Germany, this project represents TUM Asia’s continual commitment towards the advancement of science and technology here in Singapore. 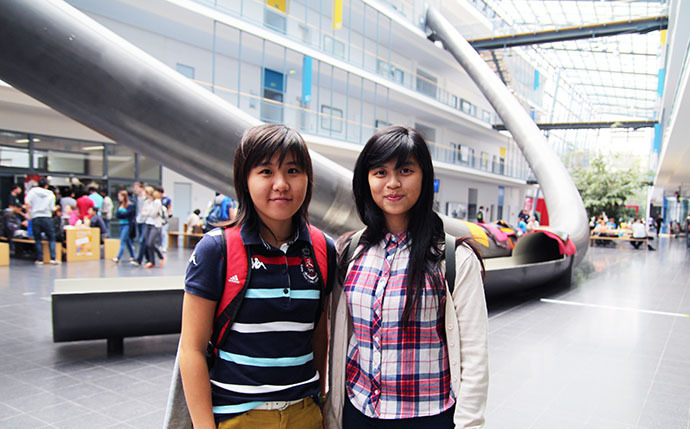 “There were so many fascinating things at TUM (Technical University Munich). As my project, I studied how they filtrate water samples from the waste water plant and also how they dilute a substance. It was an eye opener and had definitely answered the questions that I have wondered whenever I looked at the different concentrations of acids in my school lab. I also managed my own experiment, where I obtained water samples from the river behind the lab and worked with them. Overall, we were very captivated and intrigued by the inventions and experiments done at the university. It is really amazing how people can produce such things. “This learning journey for me started when I landed in Munich. I had a wonderful host family and I learnt so much from them in the week that I stayed in their home. As a city girl, I really fell in love with Germany’s never ending greenery and clear blue skies. On top of the abundance of nature, recycling is an integral part of their daily life. I saw how everyone plays a part in preserving the nature they had. This made me realize that more can be done in Singapore to reduce the effect of global warming and for us to protect the land we live in. Click here to read about Zi Xuan’s and Asmaa’s interview with TUM! To find out more about the Building The Future project, you can contact us at marketing@tum-asia.edu.sg.